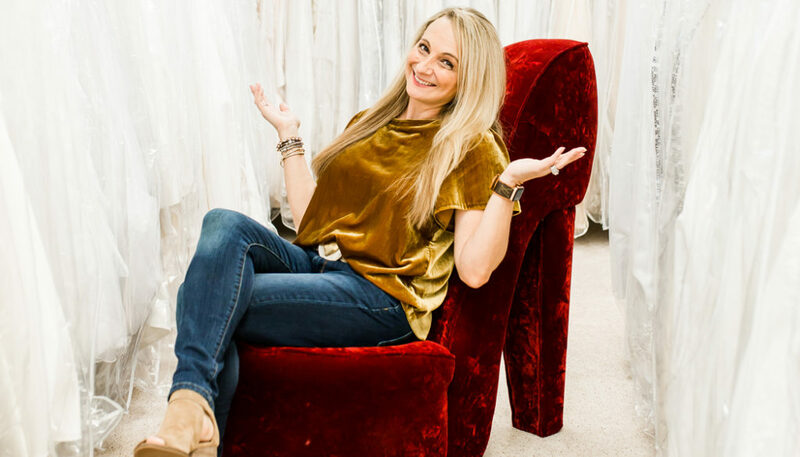 When you think wedding dress warehouse, Lagniappe Boutique & Bridal Outlet should be the image that comes to mind. From the outside on Highway 190 it looks like a cute little boutique, but as soon as you step through the doors you realize that there is nothing little about this place. As you wander through the wonderland of wedding dresses, you realize that you are only in the first room. This fashion utopia includes another room dedicated to cocktail dresses and ball gowns, and it opens up to a fully loaded upscale boutique featuring designer brands like Louis Vuitton, Chanel, Kate Spade and Tory Burch as well as purses, shoes and accessories for every occasion. The best part—it’s half-price! How? Consignment. And that does not mean what you think. There is a huge misconception that follows that dreaded c-word. “People think consignment means old and used, but that’s not what it means at all,” explains owner Anne Brewer. “Consignment means to sell for someone else.” In fact, 75% of the inventory at Lagniappe is brand new with tags. Brewer explains that the majority of her inventory comes from upscale local boutiques. Many of the bridal gowns in her store were samples that brides tried on before ordering their size. She adds that the few wedding dresses which have been worn once are either extremely high-end or over-the-top gowns that she just could not pass up. As far as more casual attire, one big perk of consignment is that Lagniappe is not seasonal. When boutiques get down to one or two of a particular piece, or when they clear out their inventory for the next season, they consign. Therefore, Lagniappe has attire for every season throughout the year. Originally Lagniappe Women’s Consignment was on Collins Boulevard in Covington. 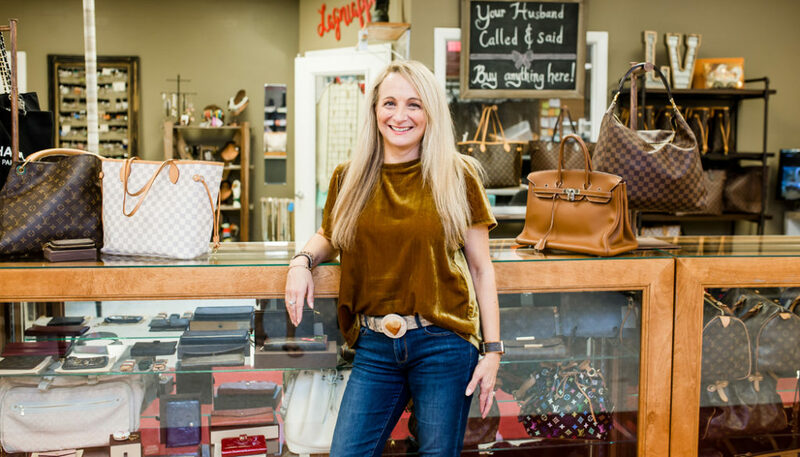 Having been open for more than eight years, Brewer recently moved to a much larger location just before the 190 overpass in Covington and updated the name to the more fitting Lagniappe Boutique and Bridal Outlet. 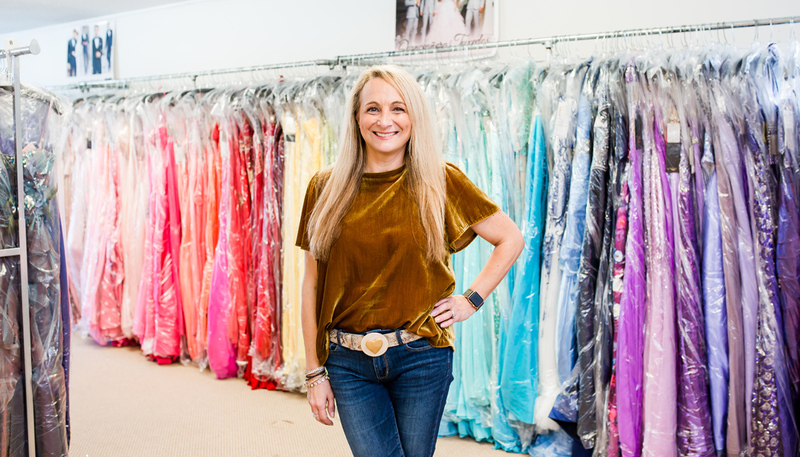 The shop boasts an in-house tailor who has worked with high-end wedding dresses and ball gowns in the New Orleans area for many years. They even offer customized dresses as well as complimentary private consultations.